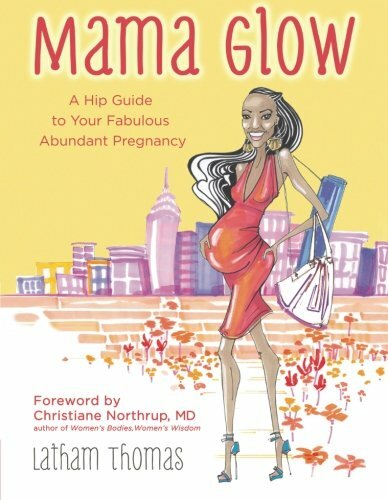 In Mama Glow, maternity lifestyle maven Latham Thomas shares the tips and techniques to support a blissful journey to motherhood. She shows you how to make room for your pregnancy, assess your current diet, banish toxic habits, and incorporate yoga to keep your mind, body, and spirit in balance. Throughout, you’ll get tips to help reduce stress; alleviate common discomforts; demystify birth plans, labor coaches, and midwives; whip up pampering treats like homemade shea butter and coffee sugar scrub; and indulge in over 50 delicious, nutrient-rich recipes to nourish both you and your “bun.” Mama Glow also features a postpartum wellness plan to guide you back to your prebaby body, troubleshoot breastfeeding problems, and embrace your abundant new life.Mama Glow includes:• Illustrated exercises for a fit, fabulous, and comfortable pregnancy• Fleshed-out cleansing programs to boost fertility• A simple formula for deconstructing those crazy cravings• Yoga sequences designed for prepregnancy, each trimester, and postpartum• Checklists for your prenatal pantry, finding a birth coach, and packing your birth bag• Glow foods to help you snap back to your fab prebaby body As your certified glow pilot, Latham will guide you through every stage of your pregnancy, giving you practical advice to make your journey a joyful and vibrant one.